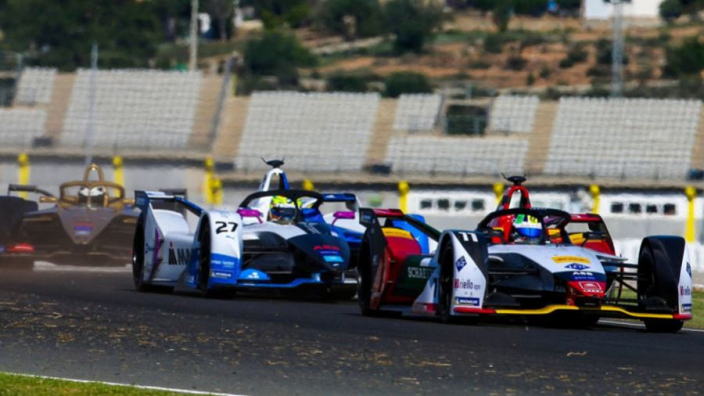 Former Formula 1 champion Jacques Villeneuve has offered a withering review of Formula E, suggesting "nobody wants to see electric racing" and claiming that FE weekends make little to no impact on the F1 paddock, despite the series' growing popularity. The fifth FE season began in Saudi Arabia last week, with fresh interest in the competition brought by a second-generation car and the debuts of big names such as Felipe Massa and Stoffel Vandoorne. Season-four champion Jean-Eric Vergne was recently ranked as the third best driver across motorsport by Autosport Magazine. However, Villeneuve – who took part in two races for Venturi in 2015-16 – does not follow popular opinion that FE could become a serious rival to F1's popularity in the years to come. "Nobody wants to see electric racing," Villeneuve told Automobile Magazine. "The truth is, in the F1 paddock, nobody even knows when the Formula E races are on. "I don't understand why they are pushing it so much. I think it's a niche thing. "The die-hard fans are the only ones who really keep up with it. "I did a couple of races in Formula E, and I was happy to do them because the technology was interesting. You have power, you step on the gas - well, I probably shouldn't say gas - you step on the pedal, and you go somewhere. "But ultimately… I don't know."